The world economy is at a critical juncture, with both developed and developing countries confronted with challenges for adjustment and transition towards sustainable development. This series aims to publish original and policy-oriented research from both international and Chinese scholars from the Development Research Centre (DRC) of the State Council of China working on real-world issues and policy implications. 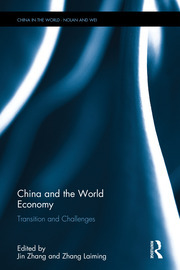 By bringing together the perspectives and insights from both Chinese and international scholars, the series will enable readers to appreciate how topics including trade, industry, innovation, finance, technology, environment and social policy are viewed both inside China and internationally.